Every household needs a vacuum cleaner. But it is a huge market, for some overwhelming. There’s a lot of choices, manufacturers, design and price differences, and so forth. And then there’s the technological aspect of it. If you had a functional vacuum cleaner for five years and you are now looking to buy a new one, the possibilities might overwhelm you. 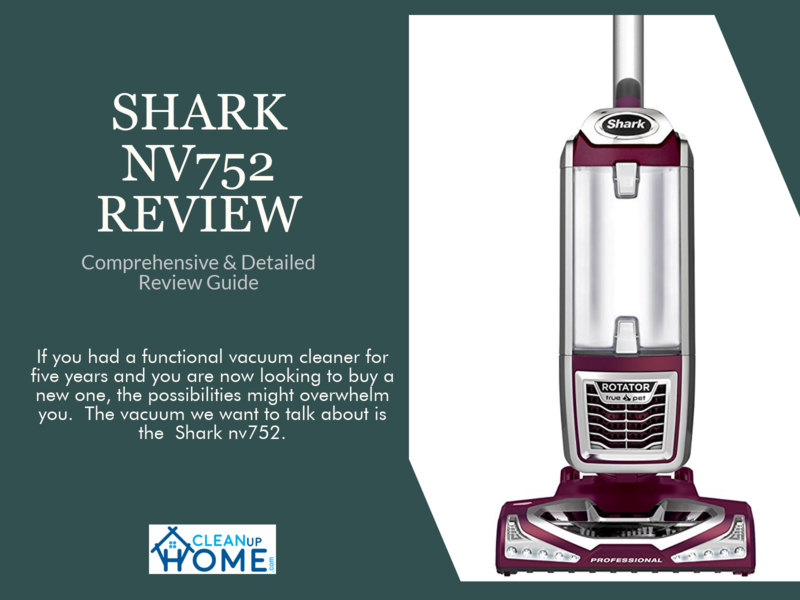 The vacuum we want to talk about is the Shark nv752. We will also explain why we opted for this particular vacuum cleaner, what are its advantages and disadvantages. We will also provide you with alternatives, their analysis, and all that jazz. This vacuum is made by SharkNinja, a very respectable vacuum manufacturer (though, they make all sorts of appliances). This vacuum promises and delivers in many fields. It is gratifying and comfortable to work with, due to its high flexibility and adaptability. It is smooth around the corners, anti-allergenic and efficient at collecting pet hair. We will also discuss the product’s operating modes (such as the Upright Mode and Lift-Away Mode). It also has fingertip controls, which again grants comfort. But, like any other product, it’s not perfect. Though the manufacturer suggests that you wash the filter every three months, we recommend you do it more frequently because the filter is continuously exposed to fine dust (due to filtration technology) and prone to clogging. There are other small issues too, but it is more a matter of taste and preference than a matter of objective criticism. Very sophisticated and easy to use. Powerhead could have been a bit wider. Power bristles tend to separate after excessive use. Now in the above section, we will dive deep into the Shark nv752, its features, advantages, and disadvantages, emphasizing its performance more than anything else. Shark Rotator is a 13.2 x 11.9 x 45 inches big, weighing 15.4 pounds (roughly 6.8 kg). The product is available in Bordeaux or Plasma blue color, both of which are equally appealing. It is very light, featuring detachable canister, which allows several cleaning modes. The product has an at-hand control panel, which allows you to rapidly and comfortably adapt to the surface you are cleaning, as you are switching from laminate to carpet (or other surfaces). The head features LED lights, which help you see dark corners or under-object places. But the LED lights are useful during daylight too, for we often miss dust or other rubbish as we are gliding across the room. Cannister is transparent, so you’ll always know when is the right time to empty it. It is also designed with health in mind, featuring anti-allergenic filtration system. And last but not least, SharkNinja realized that a lot of contemporary homes have pets, so they enhanced the bristles on the powerhead. The brush is motorized and excels at gathering pet hair. This vacuum cleaner is performance-driven; there’s no question about that. It is a beautiful, futuristic looking machine, with LED lights and on-handle controls. But how does it perform? Well, quite well actually. For starters, it has a high suction strength with substantial cannister capacity (approximately 0.8 gallons. The brush pattern is smartly designed too, perfect for cleaning carpets and hard floor. It would be great if the powerhead were a bit wider, to make the open spaced cleaning faster. But, it is fast nonetheless. But the product’s biggest strength is its ease of use. It is highly flexible and versatile, the two attributes that made this vacuum so popular. Since the canister is detachable, you can use it as a regular vacuum cleaner, an Upright mode. The vacuum will navigate between the obstacles with minimal problems. The manufacturer calls it “the dynamic swivel steering.” It also has the Lift-away mode. Since this vacuum cleaner is very light, you can easily lift it and navigate with it when you are vacuuming the floor beneath the furniture. Moreover, the Lift-away mode allows you to clean above the floor surfaces. You can clean furniture, ceiling fans, closets, cabinets or any other tall furniture. 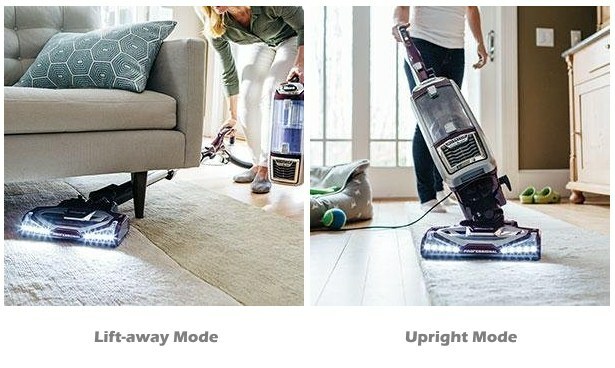 These modes help tremendously since you no longer have to move chairs and other objects to clean the surface beneath them. You can remove the canister and reach and tight corner. This is all possible thanks to the powering system: the power goes through the handle, through the built-in the hose and directly to the powerhead motor. Once you clean the tight spots, merely reattach the canister and continue cleaning in the Upright mode. There are two major things we want to talk about here. First, the product features a wholly sealed vacuuming system. In short; what goes in never gets out. Filters are exceptional, and if maintained properly, will always deliver HEPA quality air. We can see how this is important to people who are perhaps allergic to dust, or can’t spend much time in a clogged atmosphere. However, if you use it regularly, you should also clear the filters on a regular basis. The official term for this kind of filtration system is the internal cyclone technology. In essence, the technology allows it to separate large particles from small particles but doesn’t separate the dust. The dust will go through the mesh (because the dust particles escape the mesh) and then crashes into second, cylinder filter. However, some of it will escape both filters and run into the motor. That is why we suggest you clean the foam filter after or before every cleaning. It won’t take much of your time, but at least you won’t lose on performance on a long-term basis. The second thing we want to bring out is its ability to vacuum pet hair. You have something called “pile mode,” which in a way determines the vacuuming power. You also have the below pile carpet mode, hard floor mode, all controlled via easy to use control panel. So, not only that you can conveniently adapt to different surfaces, but you can also determine the tempo of cleaning, depending on how thorough you want to be. It is fair to say that this vacuum cleaner sets the standards for a lot of other vacuum cleaners, due to this touch of modernity. As we said, if you take care of it and maintain the foam filter, this pet vacuum cleaner will serve you well. And when you pair the functionality and durability with a reasonable price, you receive a product that most competitors can’t deal with. The Shark is also bold and innovative, adding multiple modes on the list. We especially recommend it pet owners and people with allergies because the nv752 indeed does help with these problems. We also have to commend why handing works, that is, how the powerhead would rotate with little to no effort. Because of that, you save a lot of time while vacuuming, and you don’t have to move the furniture around constantly. As we already said it, Shark Rotator is SharkNinjas most notable vacuum cleaner. It is original and innovative, yet sturdy and durable. It has more than 1500 reviews on Amazon, with an average rating of 4.5 stars (you can click here to see the Customer reviews. But though this is Amazon’s choice, and probably the most cost-effective SharkNinja vacuum cleaners, it isn’t the most profitable Shark vacuum cleaner: let’s take a look at them. Shark Rotator NV751 is also a lift-away vacuum cleaner and is very similar to our the Rotator NV752. The price is the same, but they differ in functionality. NV751 comes with the different parts and is a true pet vacuum cleaner, brush designed specifically for pet owners. The NV751 comes with more attachments, but one could also say that the NV752 doesn’t need extra accessories. In the end, it’s more a matter of what you prefer products are virtually the same and only differ in small things. If you are interested in the Rotator NV751, you can click here and find more information about it. NV501 is a baby version of the previous two. It costs less but has one less mode (the Above Floor mode). But when it comes to anti-allergen feature, vacuuming power (picking up debris and pet hair), the shark rotator NV501 works precisely as the NV752. But, it isn’t as durable as the NV752. Some reviewers complained about the product’s tendency to break down after short use. It has LED headlights, but they aren’t as good as are in the NV752 and 751. If you are more interested in the nv501, click here to explore it. NV356E is the least expensive product on our list, reviewed 8800 times, which makes it by far the most popular Shark vacuum cleaner. However, it doesn’t feature pet-friendly cleaning technology, so we can’t recommend to pet owners (since other’s are more efficient at vacuuming pet hair). But, if you are tight on the budget, this is the cheapest one. It is also the lightest one on the list. We also commend the wide powerhead. If you don’t struggle with pet hairs and are seeking for the most cost-effective vacuum cleaner, you can click here to buy Navigator NV356E. A vacuum cleaner is the universal household appliance. According to one Which News article, modern vacuum cleaners are quieter, their filtration system is more advanced, they are more potent (regarding vacuuming power). Moreover, they are much more efficient when it comes to pet hair vacuuming (the one we’ll review is particularly good at this. They are also feature-oriented. Most traditional and older vacuum cleaners had similar design and features. 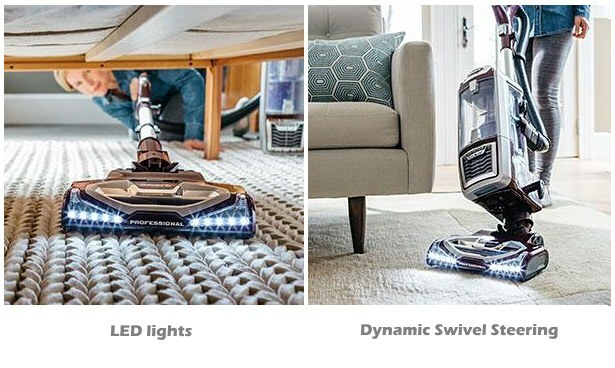 But, with the advanced of modern economy and technology, you know have the vacuum cleaners with LED lights for dark corners, they have several operating modes, they are more flexible and versatile, etc. 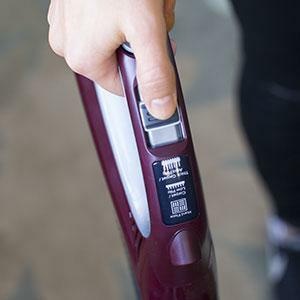 People with pets or people who struggle with allergies benefited the most of these new cleaners, for they excel at filtration and dust and pet hair vacuuming. They are, however, less durable, but that’s fine because they are a lot less expensive than the old ones. Modern vacuum cleaners are also a lot easier to use and maintain. They are very flexible and easy to navigate. Cleaning corners and other hard to get spots is much more comfortable with the modern vacuum cleaner. They are often lightweight and comfortable to hold in one hand while you vacuum high spots. There is a lot more to be said about new vacuums, but we have to turn our attention to the product we chose. It brings all the benefits we mentioned here but tops its competition with its unique functions, high, and reasonable price. Whatever you chose, one thing is certain: you will own trendy, quality made a modern vacuum cleaner. That is if you decide to buy one. Vacuuming will no longer be a tedious and painful household chore, but a task you can complete in a matter of minutes. They are modern, light and portable and powerful, but also stylish, with futuristic LED lights, high-end functionality, and straightforward usability. You will enjoy cleaner air, and your pet hair problems will go away. 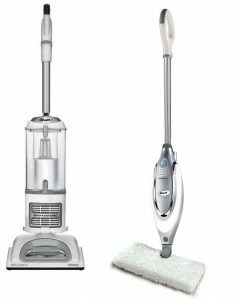 If you are looking for a new vacuum cleaner, going with the Shark Rotator or Navigator will be a satisfying option.